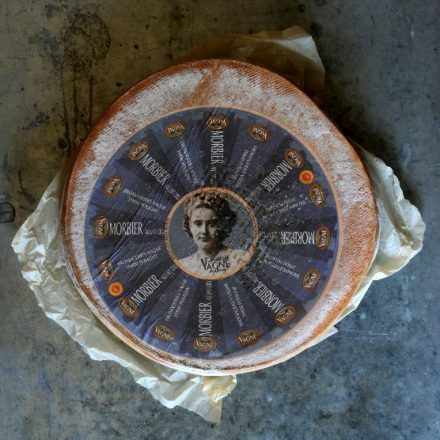 Eric Chariaux of Premier Cheese is, well, the big cheese…We have a longstanding relationship with Eric, who has worked with us for years, bringing us the very best of seasonal cheeses, both French and local, from the finest cheese makers out there. Like us, Eric is passionate about provenance, seasonality, taste, and thrives on building relationships that are closer to friendships than supplier / buyer contracts. Through Eric, we’ve been able to source Ford farm coastal cheddar, which is the key ingredient of our sensational cheese soufflé, one of our most famous dishes. We visited the farm itself to find out more about how this exceptional cheese is made, you can watch our short film here. If you’d rather sample the good stuff in it’s original form, opt for our carefully crafted cheese board which contains a superb selection of five French cheeses served alongside crackers, dried apricots, walnuts and home-made pear & apple chutney. The perfect way to round off a delicious meal ‘chez nous’.